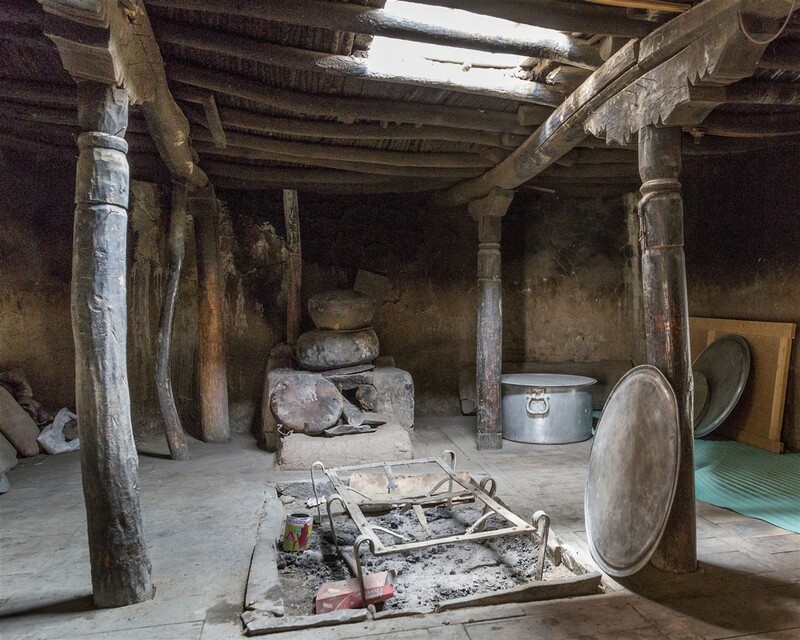 Rizong is one of Ladakh’s newest and most isolated Gompas. 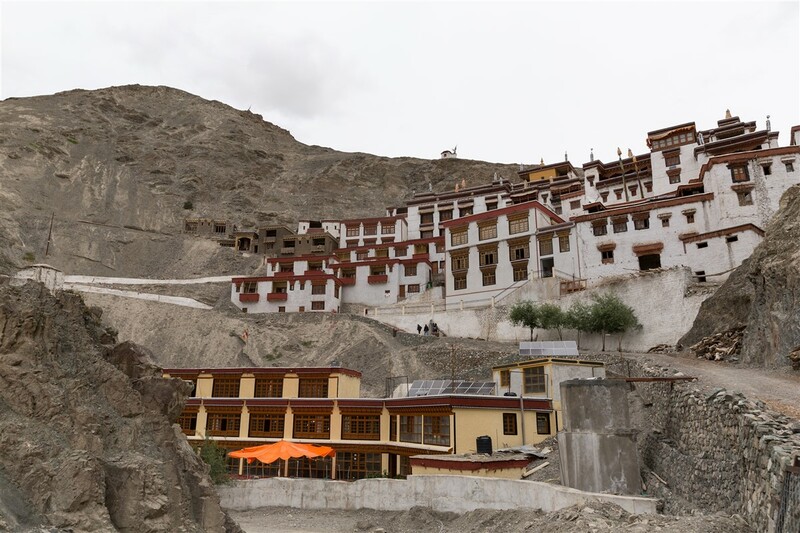 Founded in 1833, there are no settlements nearby and the monastery enforces a very strict regime of Buddhist discipline for the 40 resident lamas. 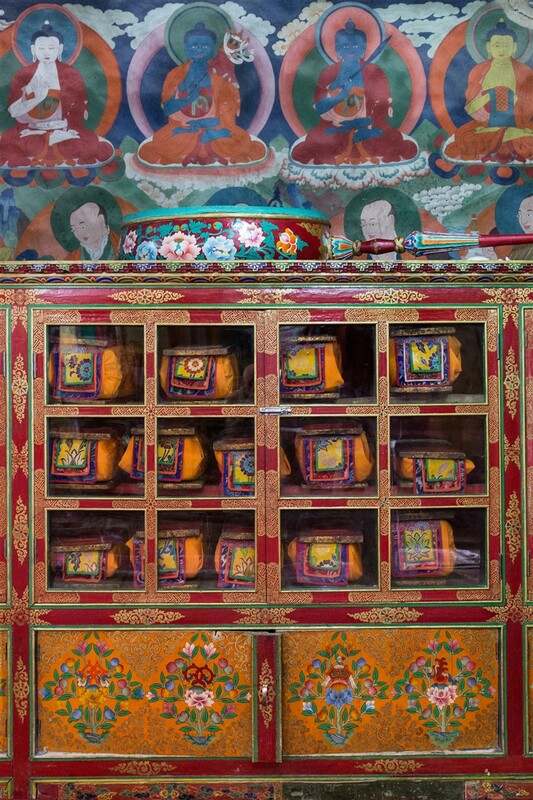 How the monastery was founded is an intriguing story. 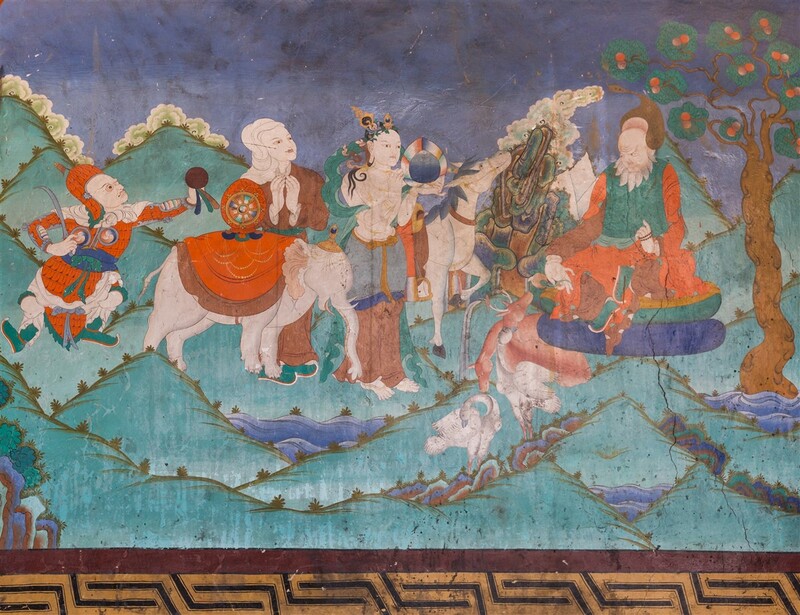 In 1815 a Ladaki merchant, Tshultim Nyima, was driving a caravan of mules laden with goods from Tibet when a severe thunderstorm forced him to stop his journey. Having pitched camp, he dug a hole to collect rain water for his mules to drink. Several weeks later on his way back, he passed by the hole he previously dug and was surprised to find it still full of water. 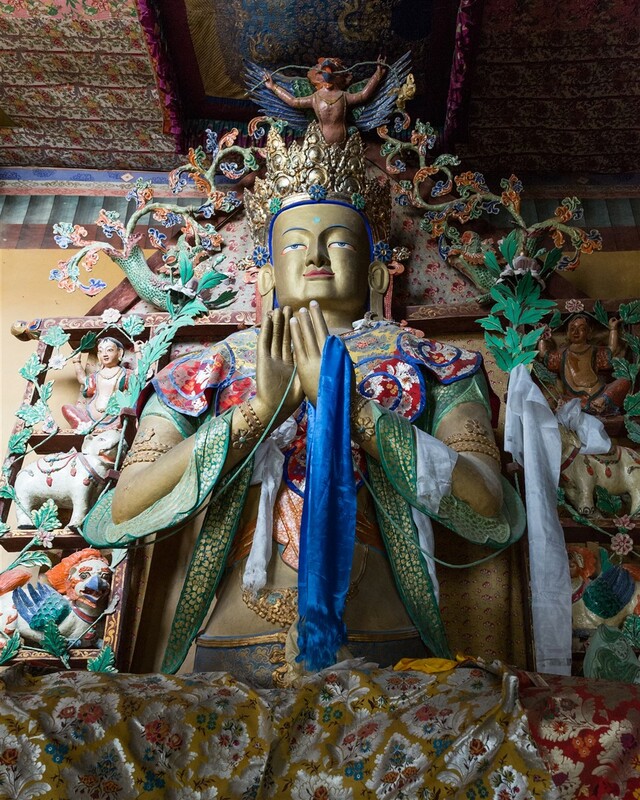 He was convinced the place was blessed and vowed to set up a monastery there. 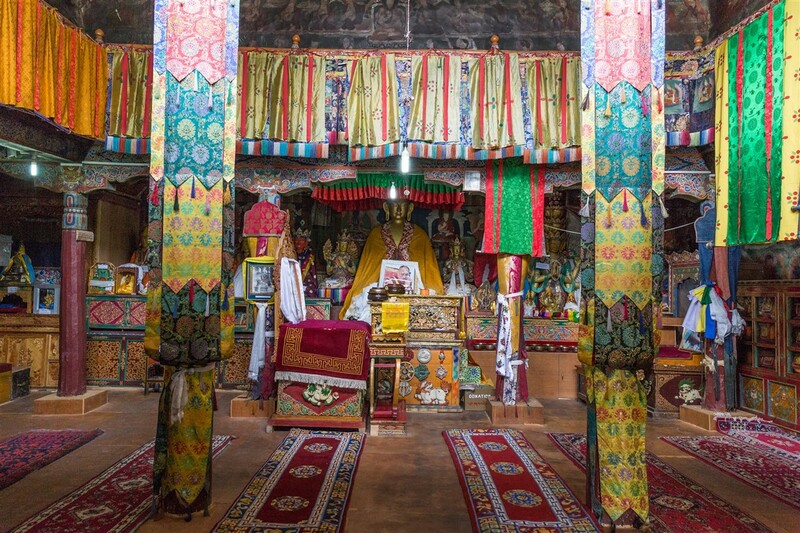 He seeked help from the high lama of Likir to raise funds, as well as contributing a significant amount of his own savings, and set about building the monastery. 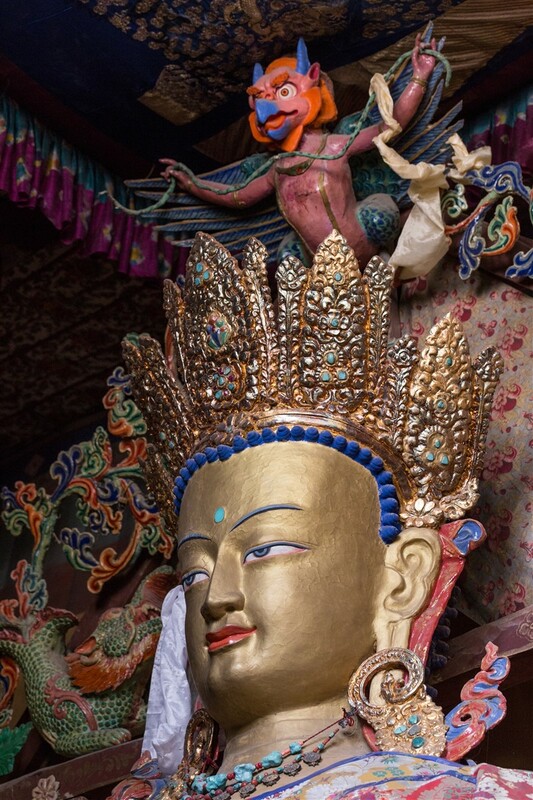 When the monastery was complete, Tshultim Nyima renounced the world and joined the clergy, eventually becoming head lama. 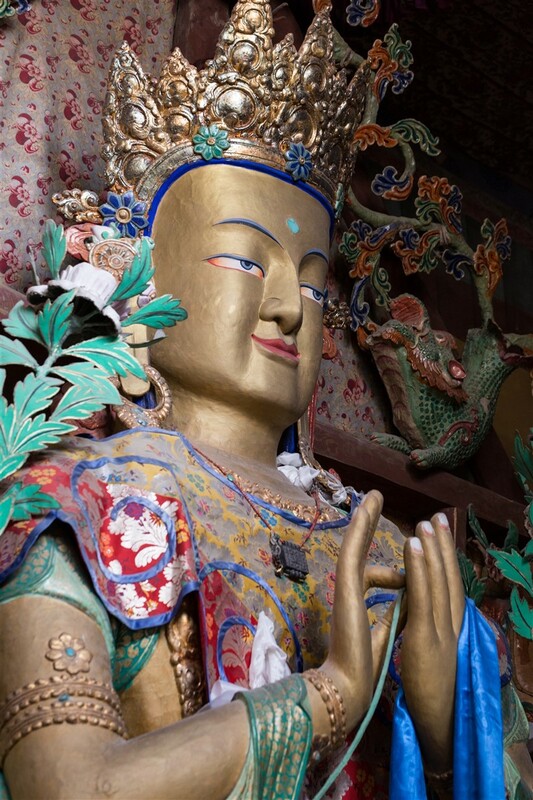 Both his wife and children took religious vows too, and joined the Chullichan Nunnery which was established nearby. Tshultim Nyima was eventually succeeded by his son, who it was believed was a reincarnate lama. 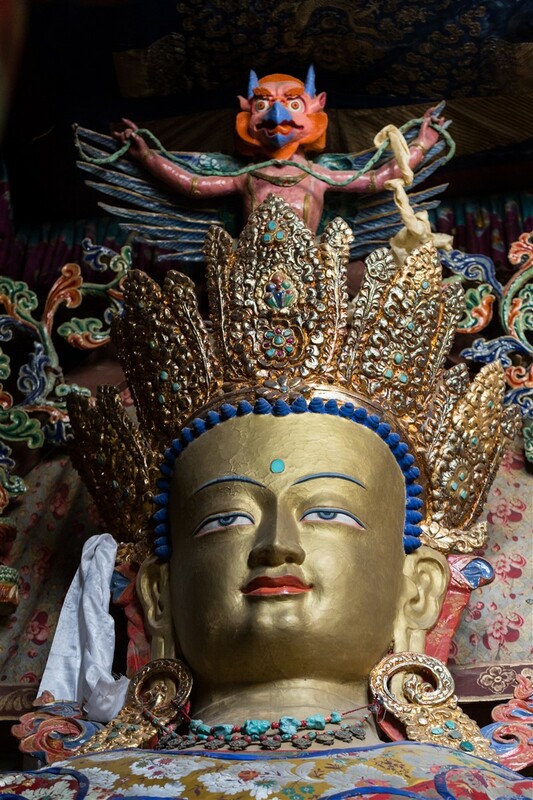 He was born after Tshultim prayed to a high lama for a child; the ageing lama promised he would be reborn soon after his imminent death as his son. Just as the lama had predicted, a son was born to Tshultim shortly after his death and was hailed as the reincarnate lama. The boy, Rizong Shas, eventually became head lama himself and the gompas abborts have since been reincarnates of the Rizong Shas linage. 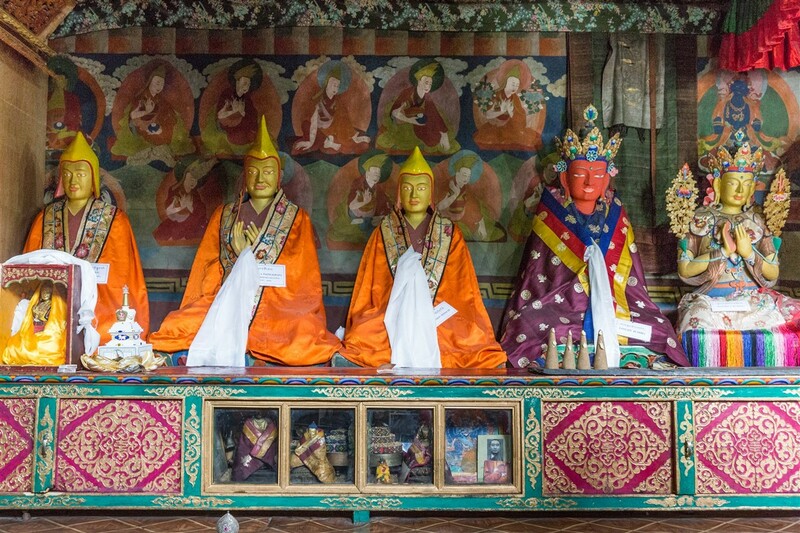 The current head lama is Rizong Shas III, who was born at Matho in 1928 and being recognised as the reincarnate of Rizong Shas II was brought to Rizong at the age of four. 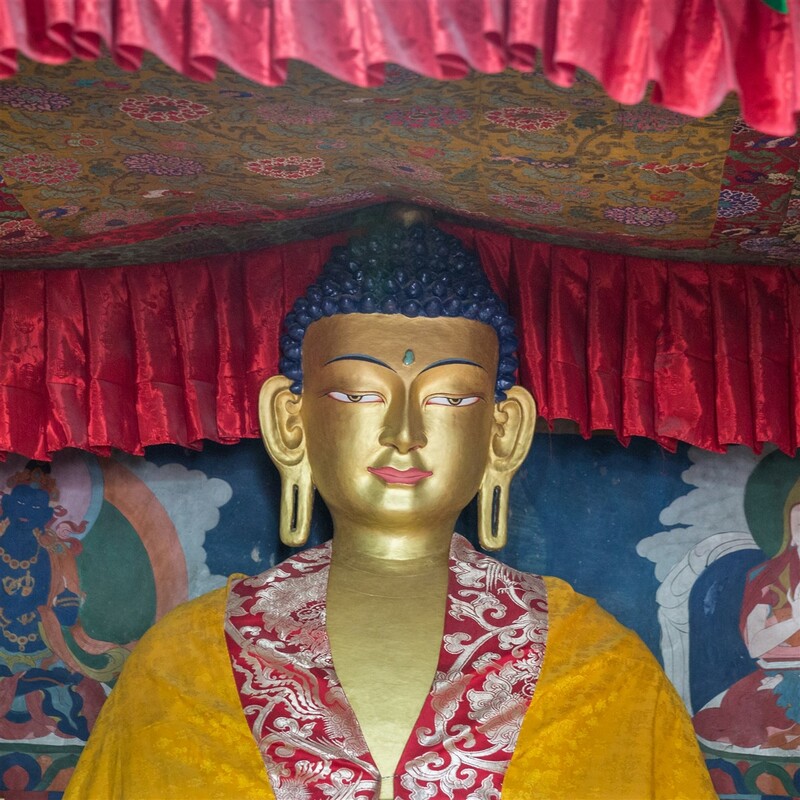 He subsequently studied in Dharamshala and Tibet, but is now only the nominal head of the Gompa as he spends the majority of his time in southern India where he is the abbot of a monastery. 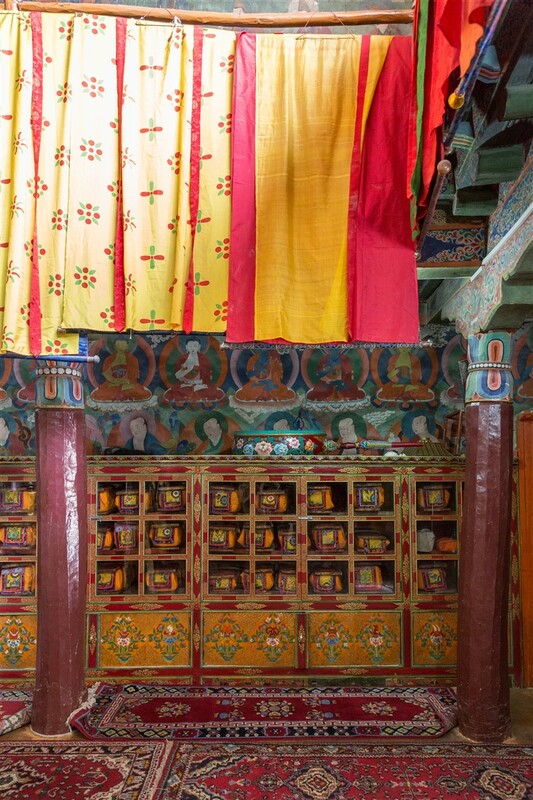 There are three main temples/shrines at Rizong worth exploring; the Dukhang, Gonkhang (unusually, not in a darkened setting), and Thekchen Chyoki Photang. 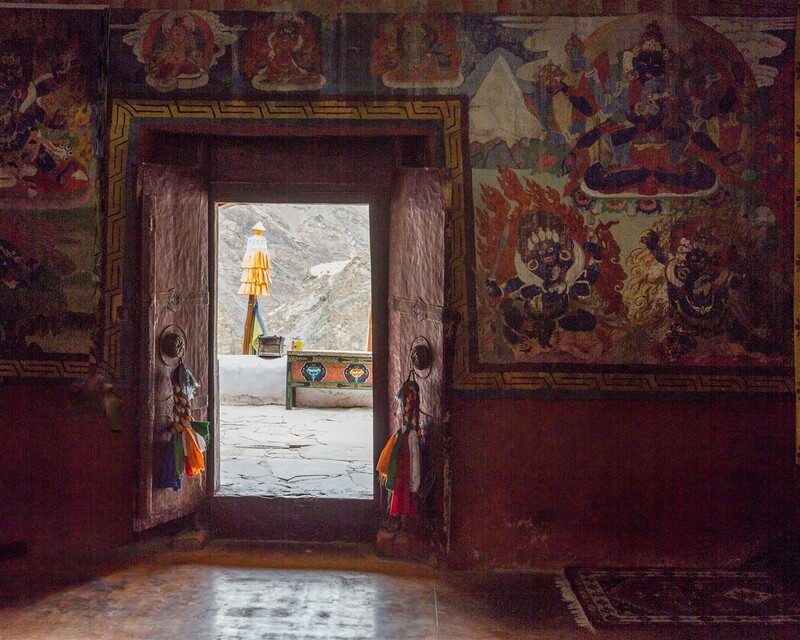 On your way up to the temples, ascending flights of stairs, be on the lookout for an entrance on the right that will open up into one the monasteries original kitchens. 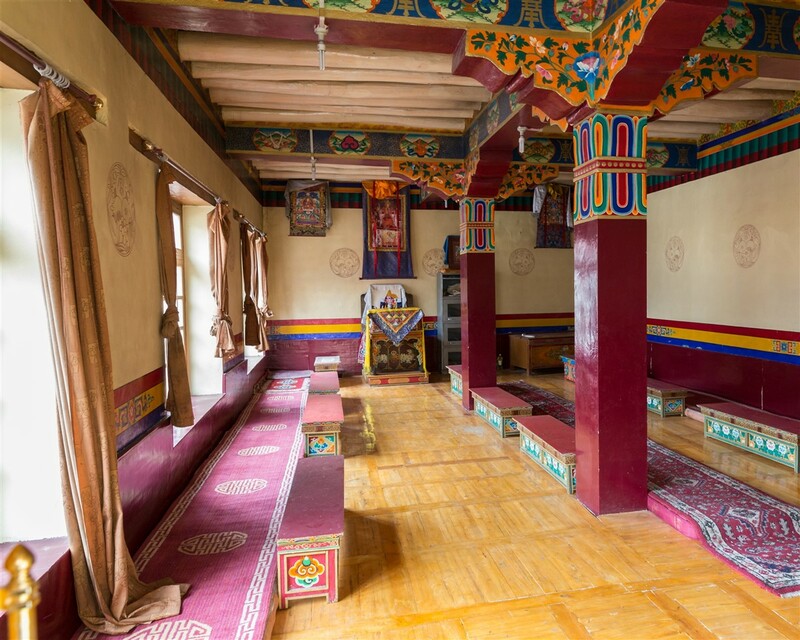 On the far right of the monastery compound stands a small shrine, the Skudung Lhakhang, which now houses a giant stupa containing the relics of founder Tshultim Nyima. It was the first shrine to be built at Rizong, and is where Tshultim Nyima meditated. Brings back memories. I was a teacher at the school there in 1997. 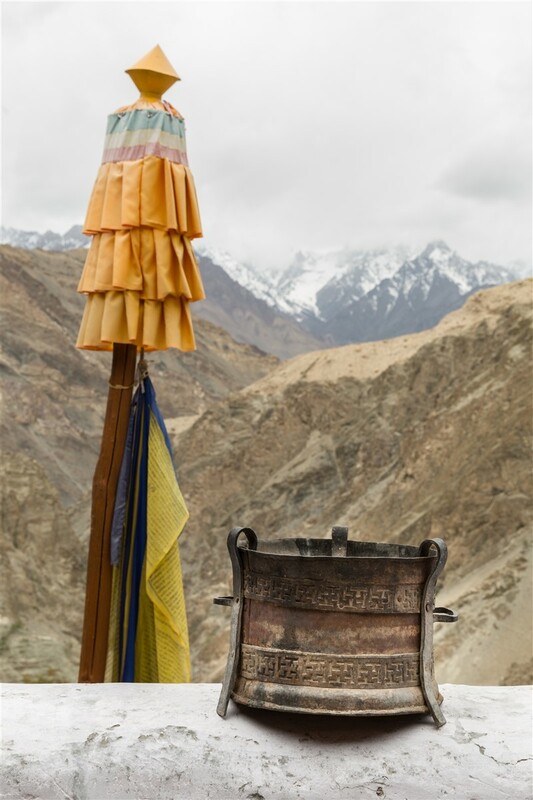 Wow – I love the whole Ladakh region, somewhere I need to return to at some point 🙂 what were you teaching there ? 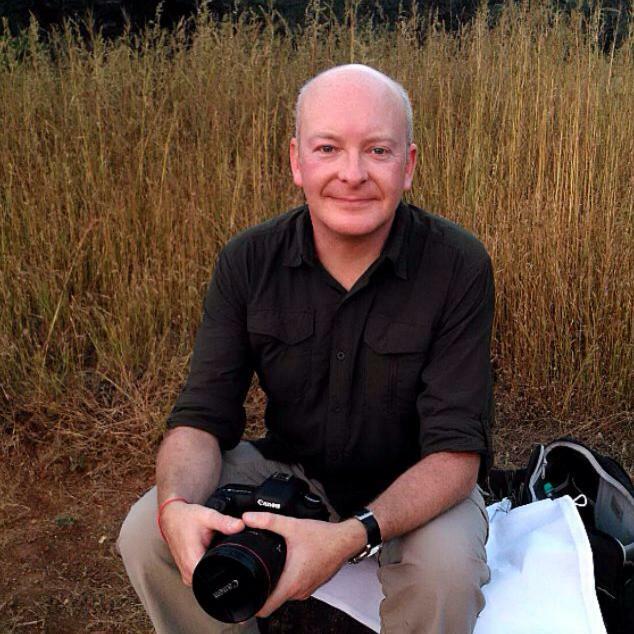 In the beginning, I taught and lived at the nunnery, then I moved to the monastery. I taught English, and then later world geography and math. Send me an e-mail address, and I’ll send you some pics, if you are interested. 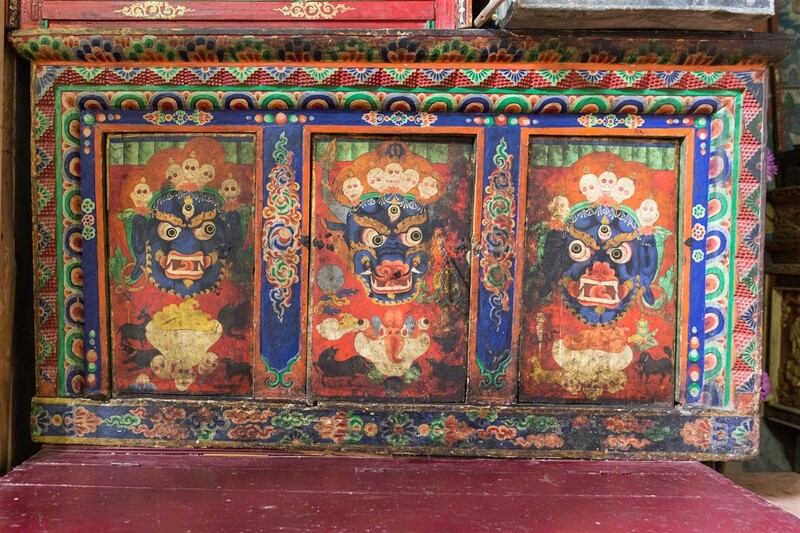 We ate meat once at the gonpa — the remains of a snow leopard kill — got pics.